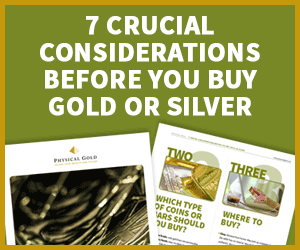 Buying precious metals can be a tricky business. 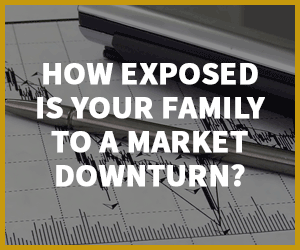 Many investors are keen to see, touch and feel their bullion when they buy. They are able to go locally to a dealer and complete their transaction in person. However, as the world moves to online buying and selling, the precious metals market has not fallen behind on this trend. Increasingly, investors are looking to buy their silver online and they choose to store their bullion in a secure storage offered by the dealer or accept the delivery at their address. Needless to say, buying anything of value online carries certain risks, although there are certain advantages as well. So, we decided to bring the subject under a scanner and take a long hard look at the pros and cons of buying your silver online. When you buy your silver online, there are many online dealers to choose from. This long list includes highly reputed mints, like the Royal Mint, where the silver coins are struck. While many choices can be confusing, one of the biggest advantages of going online today is that all dealers have a digital footprint. With a little bit of time invested in research, you can check the reputation of online traders via the internet. Check out popular aggregators like comparesilverprices.com or UK Bullion. While you’re doing your research online, don’t forget to check out Physicalgold.com. We don’t just sell gold, we also have some great deals on silver, particularly for bulk deals. An online reputation audit goes a long way in identifying a reliable online silver dealer. You can check out ratings given by other investors simply by checking out the dealer on google reviews. If the dealer is dodgy, there’s bound to be some bad reviews by customers. Don’t forget to check out other important things like whether the online dealer offers an authenticity certificate. At Physicalgold.com, we certainly do. Most online dealers charge lower prices, as they do not pay for salaries of shop attendants, shop rent and utilities like energy bills, various overhead costs, etc. Many online dealers will also cut you a deal where shipping may be free. You would also benefit from a greater selection of products as online sellers are not limited by physical space for storing inventory. When you buy your bullion from a brick and mortar store, you are not anonymous. The very fact that you walk out of the store with valuables on you could mean that you become a potential target for theft. When you buy online, your data may be more secure. With the new online privacy laws like GDPR, companies need to comply with data privacy regulations that ensure your personal data remains safe. Here at Physical Gold, we’ve long been a member of the Government’s Information Commissioner’s Office (ICO) which sets up a framework for privacy and data. When you buy online using a debit or credit card, an automatic record of your transaction is generated. In the event of any post-sale issues, the dealer cannot deny that the transaction took place. When buying your silver online, you do not have an opportunity to physically see, touch and feel what you’re buying or meet face to face with the dealer and identify the business premises. You are totally reliant on the reputation of the dealer, which is why it’s important to research the dealer before buying and trade only with reputed and verified dealers. for the dealer to store the bullion at a secure location under their control. If you do that, you do not have physical access to your bullion and cannot see or inspect what you have bought. Delivery at home may incur charges, which may include the cost of insurance. These costs may be unrecoverable if there is a problem with the product. When you conduct a transaction via the internet, your credit or debit card details may be visible to hackers who may steal your financial information. Credit card fraud is now increasingly common, and you are not exposed to this risk when you pay for your silver bullion in cash when buying face to face. If you are unlucky enough to pick a rogue dealer or buy products from an unverified online seller, you could lose all your money once you have transferred it online. This is why verifying the business location and checking the products in person is often a better solution. Call us on 020 7060 9992 or email us to speak with one of our silver buying experts before making your purchase. They are waiting for your call and can guide you on what to look out for when buying your silver online. This entry was posted in Blog and tagged buy silver.